Planting potatoes is hard work. 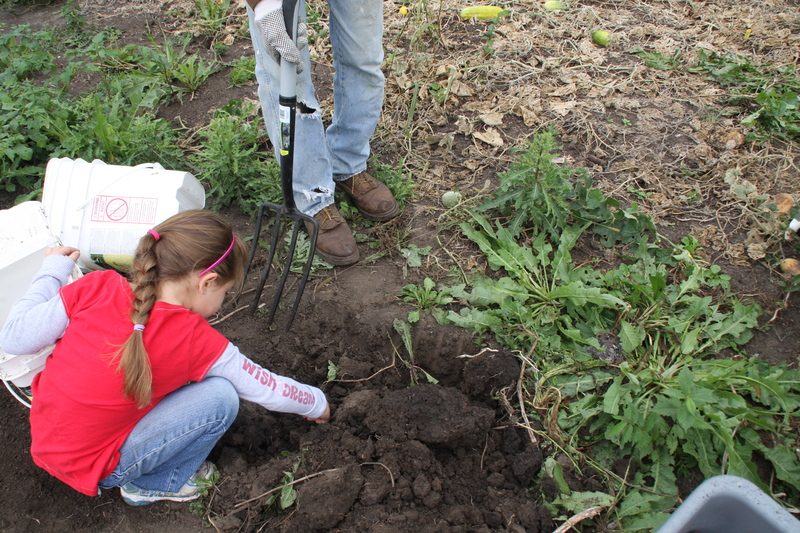 Digging potatoes is sheer delight! 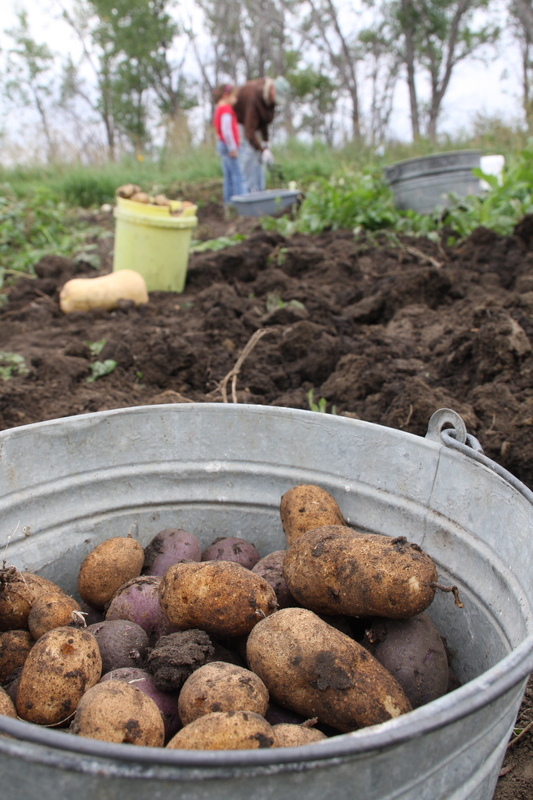 A few weeks back we began the glorious work with fork and and buckets of bringing up the potato harvest. It was a good harvest, but we think the year might have been a bit too wet and figure the company who came to spray for dandelions may have hurt our production a bit too with a bit of drift and the yellowed, curled leaves that resulted back in June. 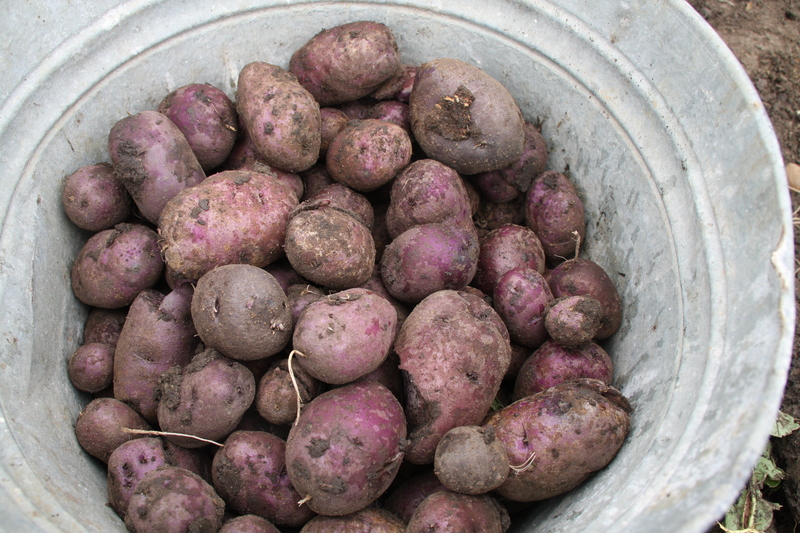 But we had quite the harvest none the less and now have several buckets of potatoes in the basement. 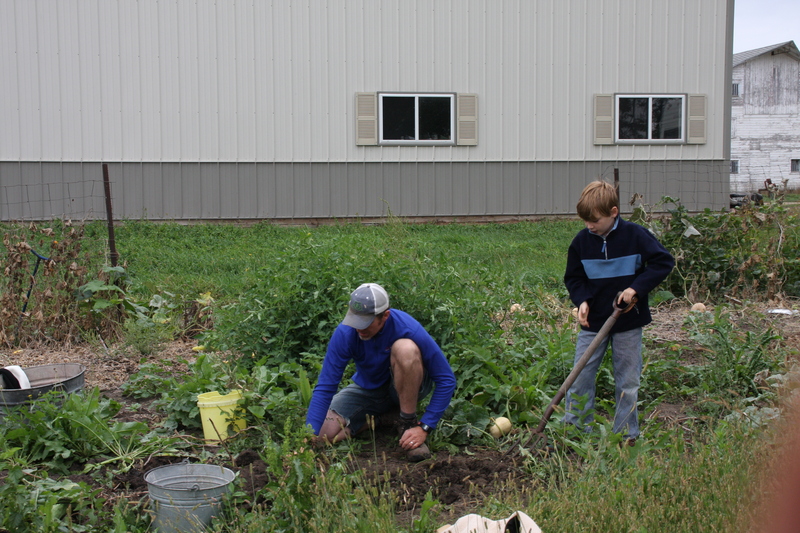 Digging potatoes with Grandpa – a family affair. Picking a few apples as well and enjoying fall. 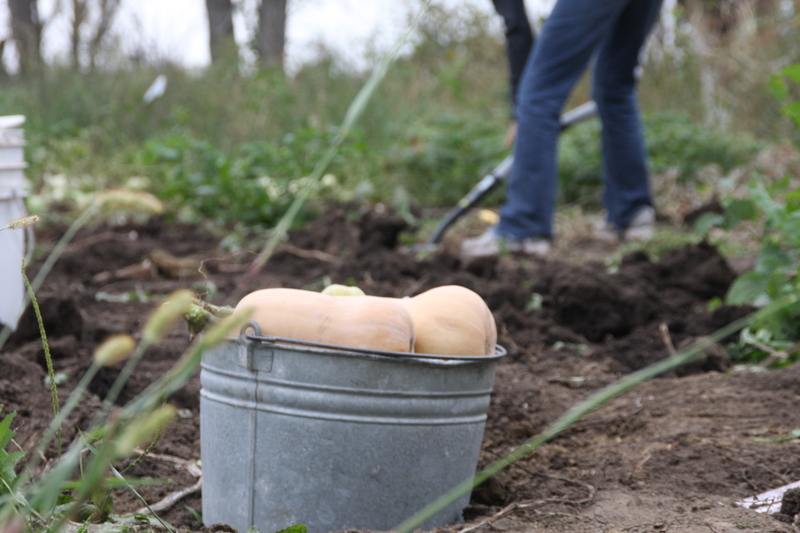 And lots of Butternut Squash.